What better way to explore Britain’s rich historical sites and beautiful countryside than to go away for the weekend with your caravan in tow? Today’s generation of larger four- and six-berth caravans with all the conveniences of home are, somewhat inevitably, on the heavier side, with many tipping the scales at over 2,000kg. 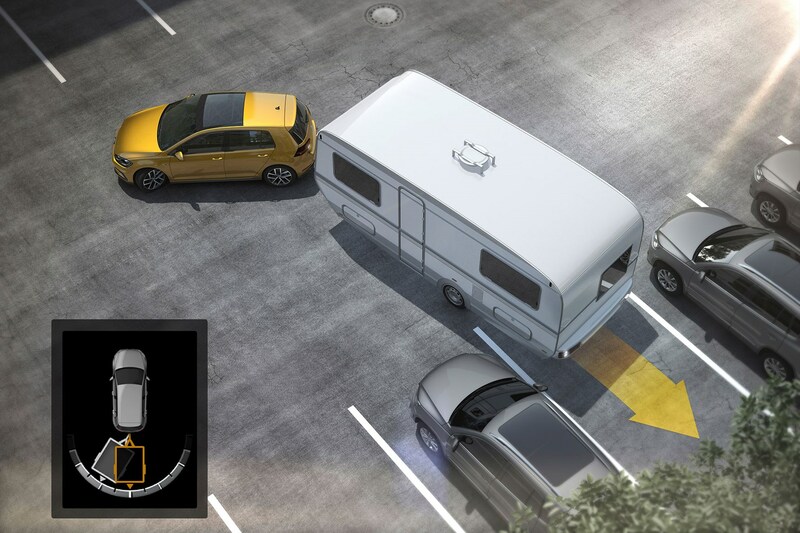 The latest innovations in towing technology even make manoeuvering those larger homes-from-home as easy as parking a supermini, too. This means you need a car that’s up to the task of towing your holiday home, as well as having space for the family and their luggage but not proving eye-wateringly expensive to run. We’ve done your homework for you, by selecting the most suitable cars for the job in a variety of segments. Could one of these hauling champions be your next tow car? 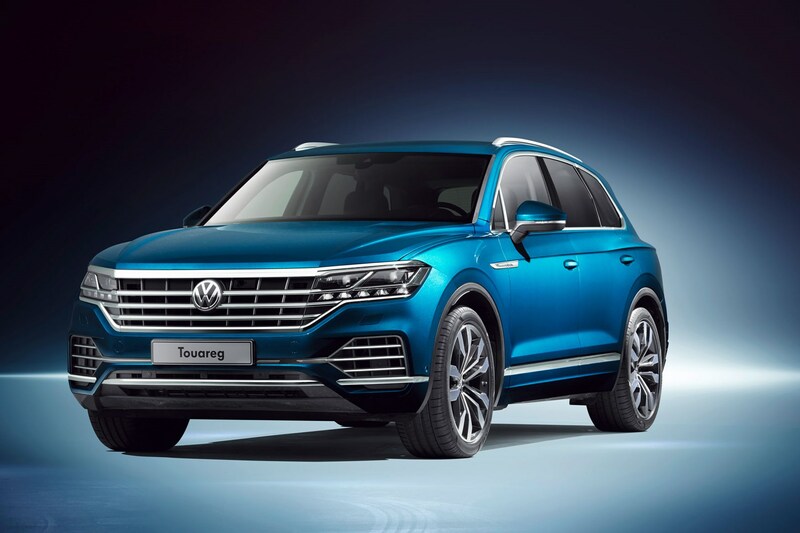 It is the largest, and most luxurious Volkswagen model since the Phaeton, and it's also one of the most advanced. Inside, dual LCD screens present a minimalist black expanse until the car is switched on, with sumptous seating for five and remarkably nimble handling. Showcasing the very best technology to be found behind the VW roundel, the instruments are depicted on a 12.0-inch screen behind the steering wheel, almost seamlessly meeting a central display of up to 15 inches for infotainment. Active air suspension and four-wheel steering take the 2,045kg SUV and make it feel surprisingly agile, as well as comfortable. They also allow some clever tricks for towing. Starting with a towing capacity of 3,500kg on top of that class-leading technology, refinement and space, it adds the benefits of trailer assist combined with parking assist when equipped with the £1,195 electrically retractable towing kit. There’s a school of thought that the Land Rover Discovery is the only car you’ll ever need. A comprehensive redesign in 2017 has done nothing to dilute that impression - though it has risen in aspiration, luxury and price. Four-wheel drive ensures it’ll go virtually anywhere, air suspension ensures the ride remains comfortable and level and there’s a colossal amount of space inside for seven adults. Fold the third row of seats, and five adults can travel with 1,137 litres of luggage. Equipped with the powerful 3.0-litre diesel engine it’s got the grunt to make light work of what’s hitched to its towbar, with a maximum braked limit of 3,500kg. Even the entry level £47,625 2.0-litre SD4 four-cylinder diesel in S trim is rated for the same maximum towing capacity. It’s not all good news though, as the Discovery’s an expensive car to run, with a claimed fuel efficiency of just 36.2mpg – real world figures with a caravan out back will be considerably lower. With that in mind we’d opt for the SE version of this SUV. which still comes with automatic headlights, an electrically heated windscreen, parking assistance, 19-inch alloy wheels, cruise control and Touch Pro infotainment with 10-speaker audio. Like the SsangYong Turismo, the Rexton offers seven seats and four-wheel drive alongside impressive towing capacity. Unlike that unusual MPV, however, the Rexton is almost handsome - and it can pull the maximum 3,500kg when specified with an automatic gearbox. Inside, interior quality is a big improvement over previous models, with appealing trim and good fit & finish for the most part. Technology is also impressive for the cost; the highest specification Rexton is still under £40,000. If you want the feel of the Land Rover Discovery 4 with the security of a brand new car (which now includes a seven-year, 150,000-mile warranty), the SsangYong is compelling. We'd stick to a five-seater model in the highest Ultimate specification, where you'll find electrically adjustable heated & cooled front seats, heated rear seats, surround-view cameras, 9.2-inch HD infotainment with TomTom sat-nav and 20-inch alloy wheels - and those are just some of the highlights. 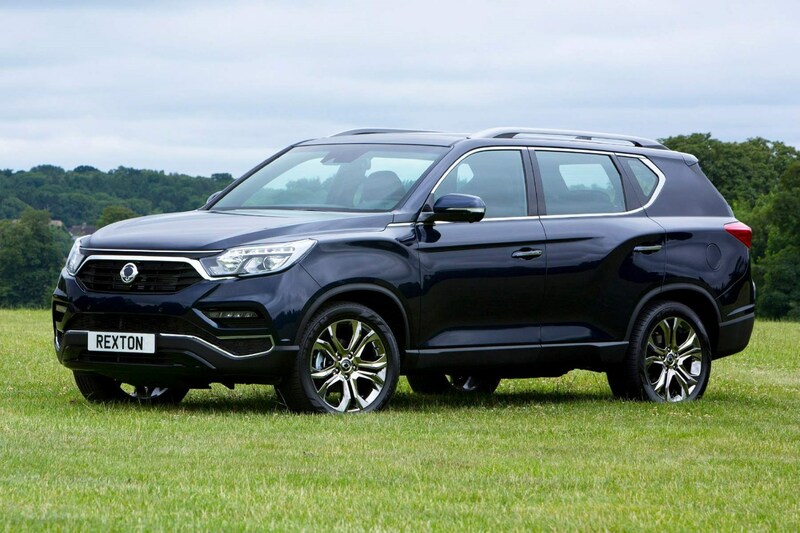 Running costs will be a shock if you're used to a small crossover SUV, but SsangYong have stuck to traditional 4x4 construction for strength and the economy is acceptable for the the weight and performance. What do you get when you cross and estate with an SUV? The Audi A6 Allroad for one, which at 2,500kg has the highest braked towing weight of any car in this segment. Based on the comfortable and spacious A6 Avant, the Allroad has chunky body mouldings and a raised ride height to make it look more off-roady, without compromising its handling characteristics. We’ve opted for the entry-level 3.0-litre TDI as it’s packed to the gunnels with most essential equipment and although the purchase price is on the steep side, running costs aren’t, with a claimed 50.4mpg. You’ll benefit from adaptive air suspension, 18-inch alloy wheels, bi-xenon headlights, a 6.5-inch colour infotainment screen with sat-nav and Bluetooth connectivity, an electric tailgate, automatic lights and wipers and four-zone climate control. If you require the towing capacity of a large estate but prefer the elegance of a traditional saloon, then the latest Volkswagen Passat should be on your watch list. Comfortable and agile, the latest VW Passat has a high quality, spacious interior that shames many cars priced significantly higher. While several Passat saloons can haul 2,000kg-worth of braked trailer along, upgrading to the torquier twin-turbo BiTDI engine and 4Motion four-wheel drive adds a further 200kg of ability. Despite the increase in power to 240hp, VW still claims this Passat will achieve 53.3mpg. 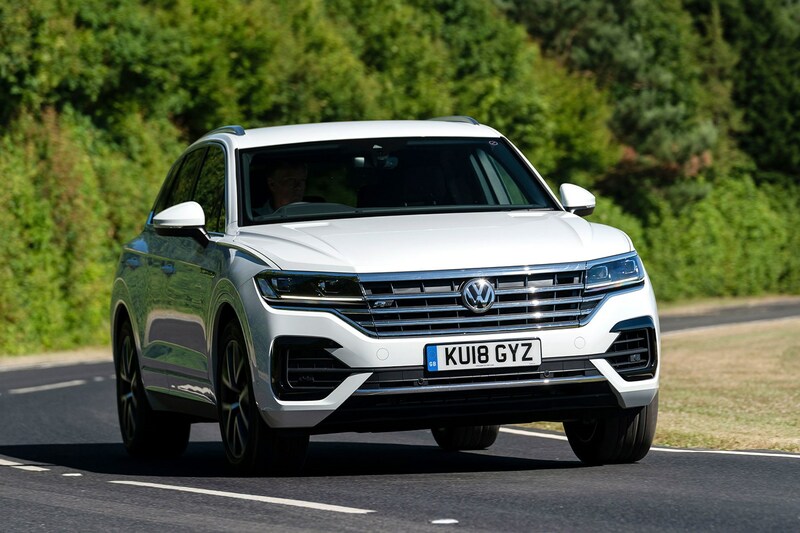 We’d choose the Passat in GT specification, which means you’ll enjoy 18-inch alloy wheels, a 6.5-inch infotainment touchscreen complete with sat-nav, three-zone climate control, Alcantara faux suede upholstery and rear privacy glass. Something of a leftfield choice, the BMW 5 Series Gran Turismo combines the space of a luxury saloon with the practicality of a hatchback. Following the launch of the 2018 5 Series, the Gran Turismo has been replaced by the 6 Series GT, which moves even further upmarket. As a stylish nearly new buy, however, the spacious five-door 5 Series GT serves up an impressive 2,100kg braked towing ability, and in 520d guise at least, fine running costs for a car of this size. BMW claims 50.4mpg. Power is delivered to the rear wheels via an automatic gearbox on this SE trim model we’ve selected, the specification of which includes 18-inch alloys, dual-zone air-con, DAB radio, Bluetooth connectivity, sat-nav, cruise control, parking sensors, automatic lights and wipers and a panoramic glass roof. Few cars in the Octavia’s class can tow 2,000kg and pull the maximum 750kg unbraked trailer rate but the Scout can. Curiously, it's not the most powerful 183hp flagship but the lower-powered 150hp version. The more powerful diesel can only tow 1,800kg, so make sure you buy the cheaper car if you need to tow two tonnes. Also making the Octavia unbeatable in this class is the Scout’s standard four-wheel drive – perfect for pulling a caravan out of a muddy field. The Scout’s added body protection will protect it from the odd clumsy bit of manoeuvring and off-road adventure. Only an interior that lacks sparkle deducts point for what is a very capable, efficient and tough tow car. If you’re in the market for a big, comfortable estate car that can tow, chances are the Volvo V70 will be at the top of your list. If that’s the case we suggest you immediately strike it off your list and consider the Mondeo instead because it’s a far better car. First off, it has an enormous towing ability – nothing else in the class comes close to its 2.2-tonne tow capacity. The Volvo, for instance, can only pull 1,800kg. The Mondeo also offers far more space inside, is better to drive, has a good ride and offers plenty of performance from its powerful 200hp diesel. The Titanium X Sport has a long list of standard equipment that even includes a leather interior. This helps compensate for the high list price and we still think this is great value - nothing this side of the Audi A6 Allroad can tow anywhere near as much. Refined, comfortable, fast and luxurious is one thing. But when you want to actually tow with your luxury estate a surprising number of cars just don’t measure up when it comes to towing capability. The E-Class is the exception, especially when it’s powered by the powerful 258hp 3.0-litre V6 turbodiesel. Performance is effortless while the new nine-speed gearbox is so quick-witted you’ll never find yourself in the wrong gear again. A decent towing weight of 2,100kg means you’ll also barely notice the weight of whatever you’re towing once you hit the open road. You also need to bear in mind the Gross Train Weight of any potential vehicle you are considering for towing use. This figure is the maximum allowable weight of the vehicle, trailer and load. Read more information about vehicle and trailer weights here. Generally speaking, a car that has a 2,000kg towing capacity will in most cases be able to tow a caravan unless you have your heart set on the larger twin-axle caravans - in which case only large 4x4s or pick-ups will be up for the task. Lastly, don't forget you may also need to take an additional test to be legally able to tow a caravan dependent on when your license was issued – for more information click here. How is your car insurance affected by a PCP deal? *Prices correct at the time of publication and are all subject to change. 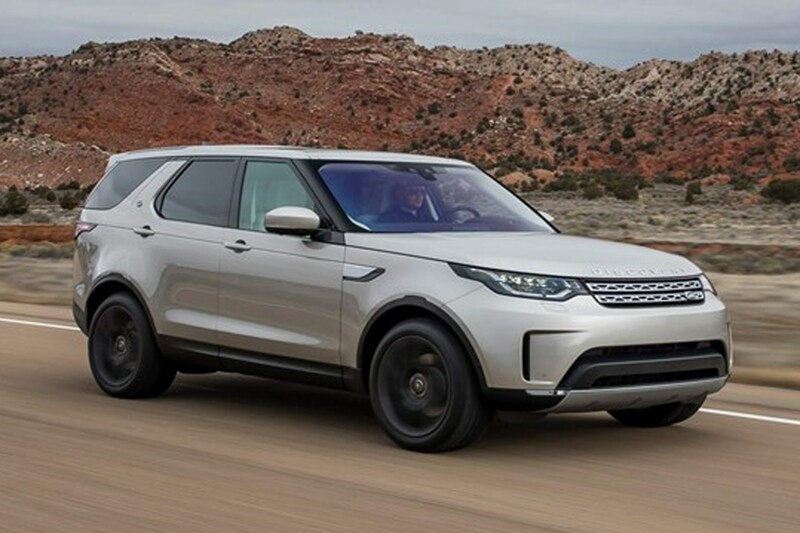 Did you know the most popular review for the Discovery range is the Land Rover Discovery SUV review.